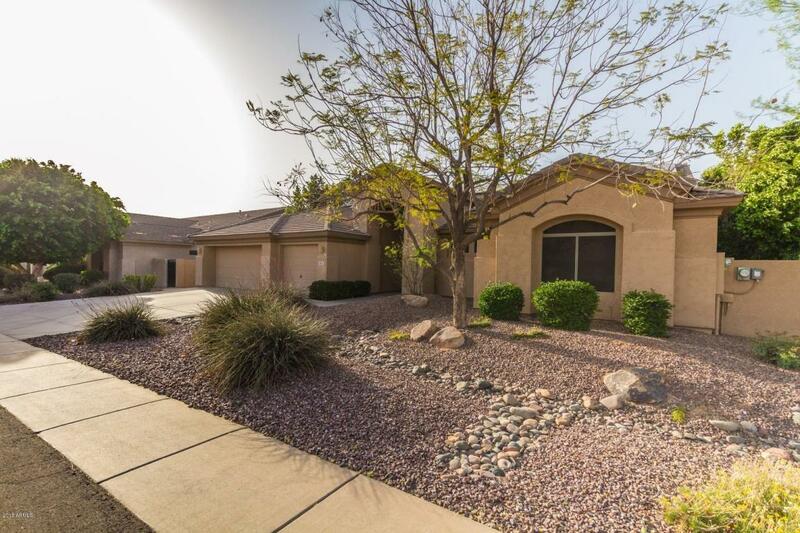 Lovely Five Bedroom three bath Basement home in Chandler. 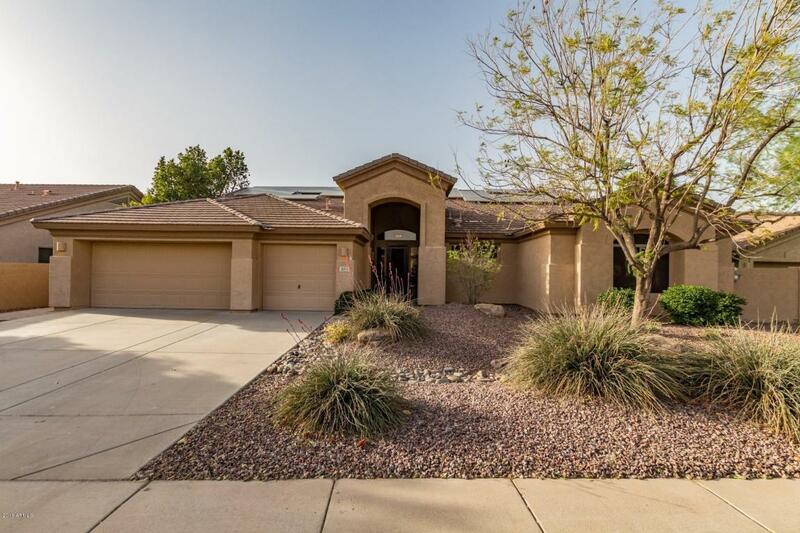 This home has Newly refinished wood floors in entry, kitchen and Family room. Newly refinished front door, New upgraded plush carpet throughout. 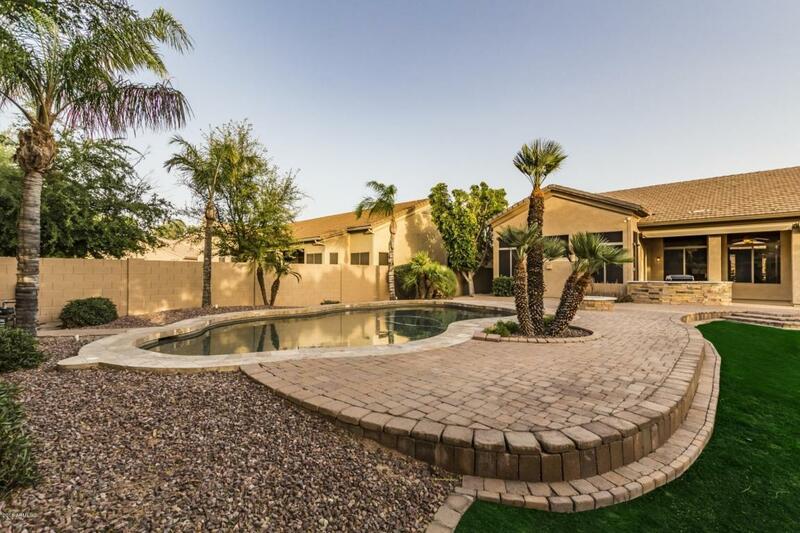 Formal living room and dining look out onto the expansive lush resort style backyard, Kitchen has courian counters and maple cabinets with lots of storage space, open to the family room with cozy fireplace. Master bedroom upstairs and split from the other two rooms upstairs, lots of storage space, Basement has large family/game room full bathroom and two bedrooms. 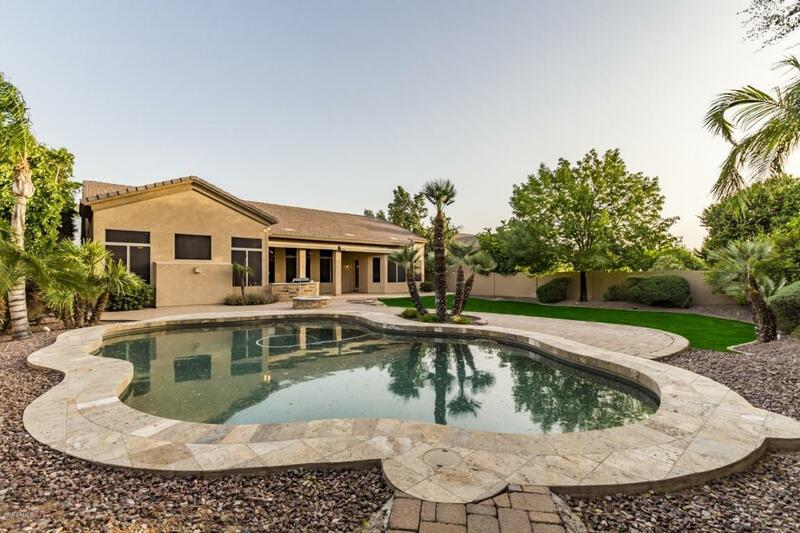 New sunscreens on windows, SOLAR panels are owned and have new inverter to save on electric costs, gas firepit and grill outside, extended patio and travertine pebblec tec pool. 3 car garage culedesac lot, original owner Home.